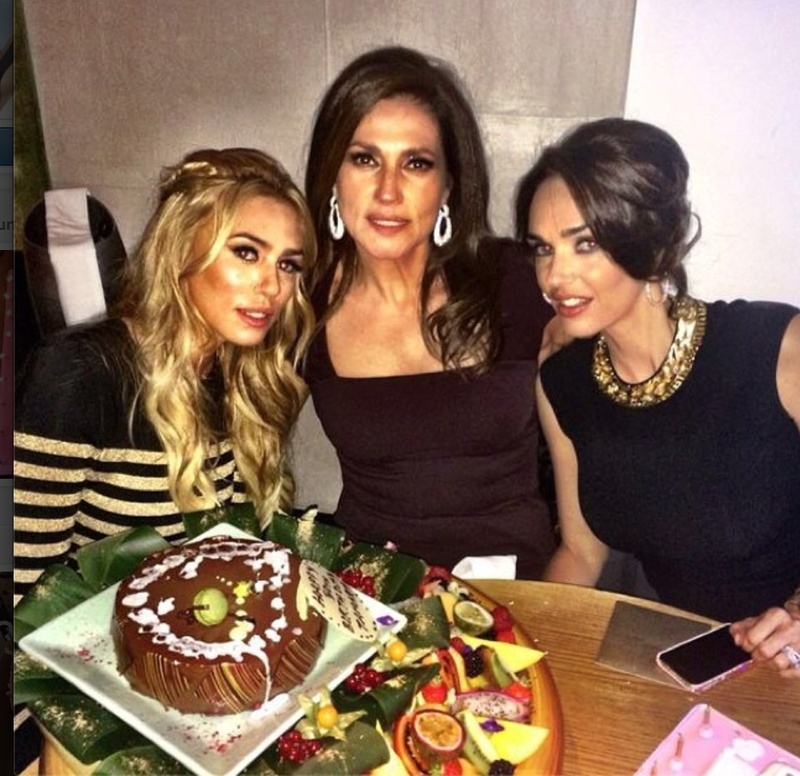 Tamara Ecclestone celebrated her 30th birthday last night at Nobu restaurant with her husband, sister Petra and mum Slavica. Tamara was elegant wearing a sleek black Alexander McQueen dress,she unusually wore her hair up giving her a sophisticated air. You have to think long and hard to buy a girl who literally does have everything. 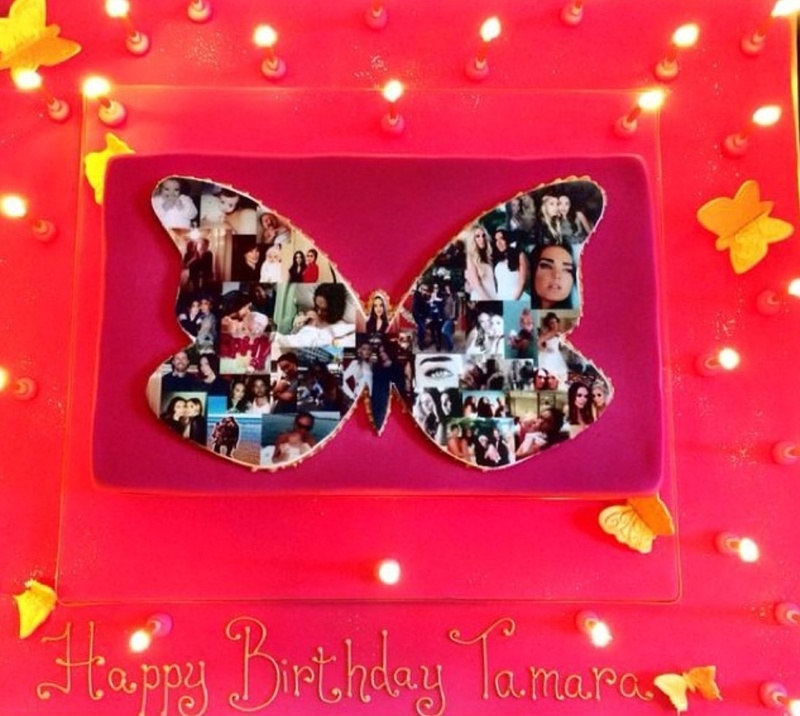 Tamara’s family made sure she was spoiled on her special day, she woke up to flowers and balloons and gifts. Her husband Jay , commissioned a gorgeous painting of Tamara. 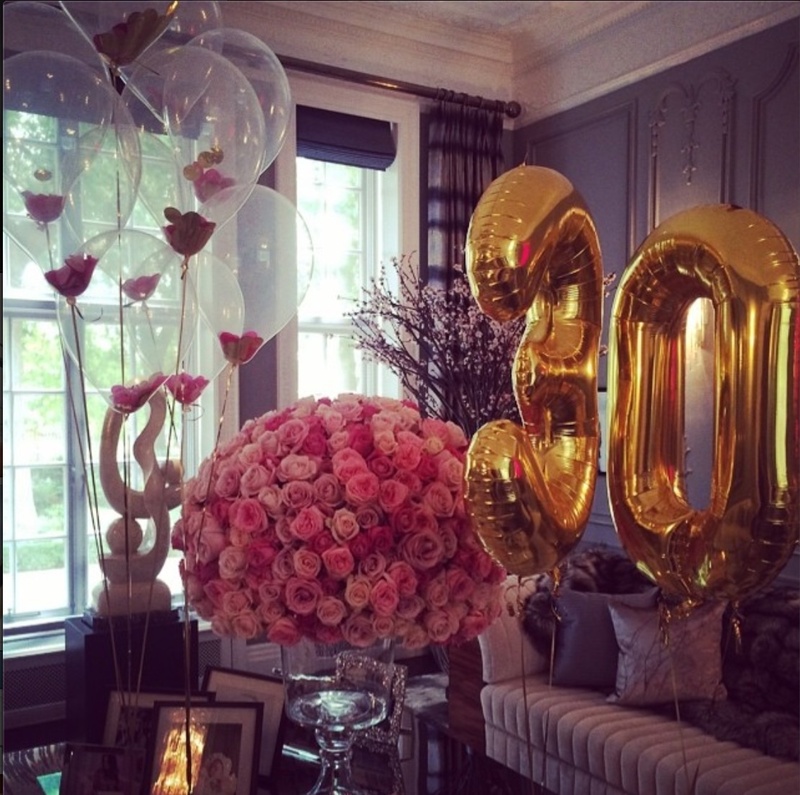 There was an amazing flower display in the shape of the number 30. 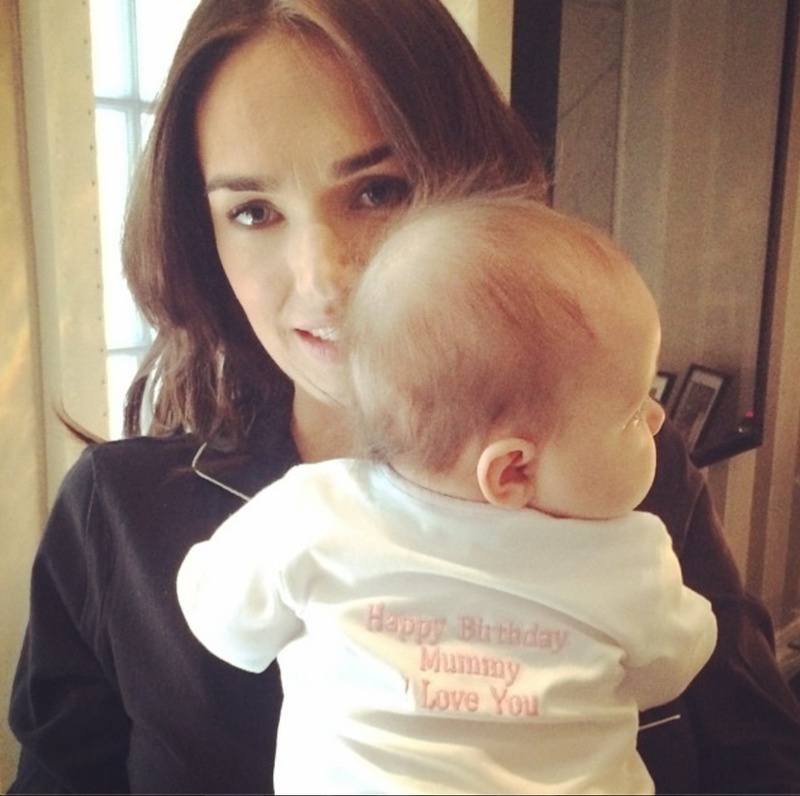 Tamara was photographed with her baby wearing a cute little babygrow which said on the back ‘happy birthday mummy I love you. 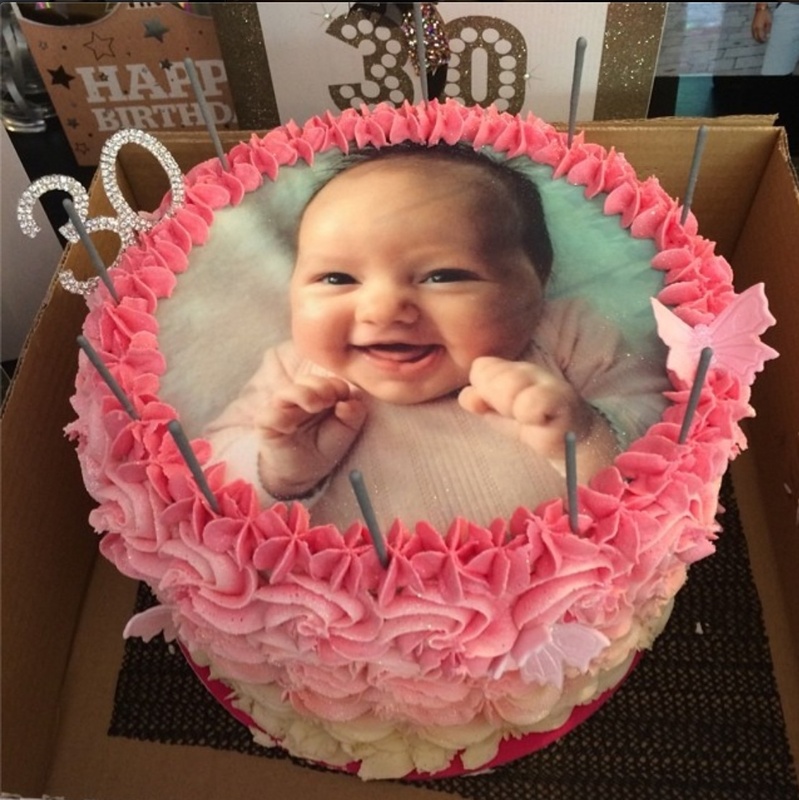 ‘ Tamara’s mother gave her a beautiful Lorraine Schwartz finger bracelet and their were three different birthday cakes! 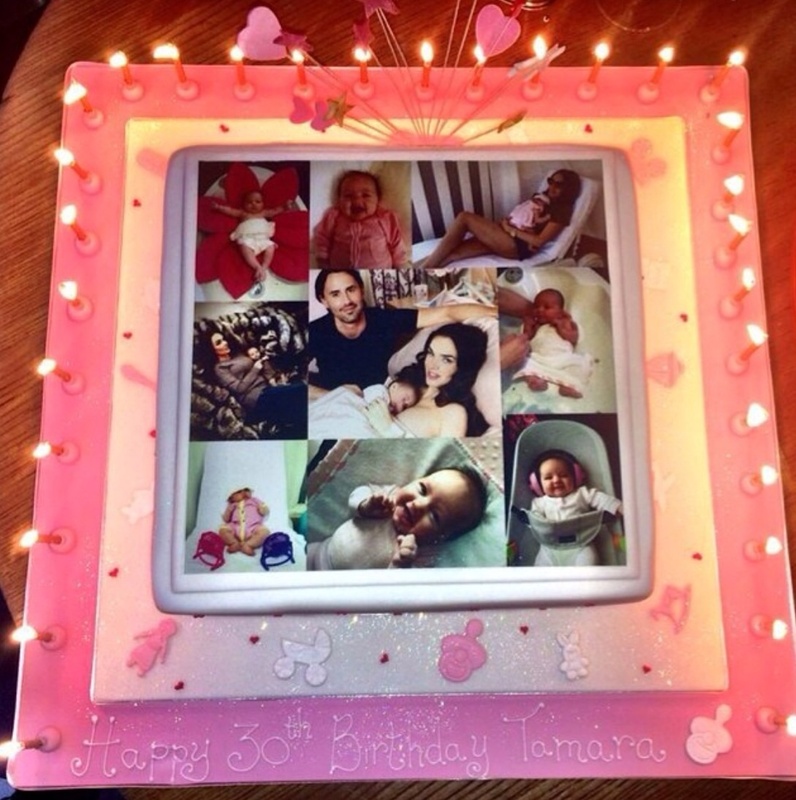 This entry was posted in Tamara Ecclestone's 30th birthday and tagged Nobu, Petra Ecclestone, Slavica Ecclestone, Tamara Ecclestone on June 29, 2014 by wealthandglamour.